We provide financial, investment and estate planning solutions that coordinate to support our client’s unique needs and objectives. 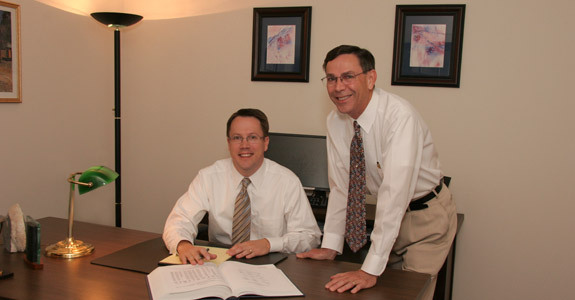 First and foremost we are a financial planning practice. We believe that long term financial success comes from careful planning with the stewardship of a patient empathic advisor. Our mission is to develop a map for your future then help guide you toward your true wealth. The process we use begins with a brief meeting to “set the stage”, a conversation about your future and your goals. Within that conversation we outline what we bring to the table, our philosophy of planning, management and stewardship. A second meeting would be arranged to gather information about what you have done in the past and where you are now. We would discuss what issues are most pressing and begin to prioritize solutions. Having gathered the necessary information we would work together to develop a plan to accomplish the most cherished goals you outlined for us. Most important to your success, is the stewardship of the plan. Through regular meetings, including an annual review meeting we will work with you, coaching you toward the best financial decisions for your and your family. This site has been published in the United States for residents of the United States. The entire site has been prepared solely for informational purposes, and it is not an offer to buy or sell or a solicitation of an offer to buy or sell any security or instrument or to participate in any particular trading strategy. Erickson Financial and any of its employees or representatives acting as an agent may transact business in a particular state only if first registered, excluded or exempt from registration requirements. Vaughn Erickson and David Erickson are Registered Representatives of First Heartland Capital, Inc., broker/dealer based in Lake Saint Louis, Missouri. Securities offered through First Heartland Capital Inc., Member FINRA/SIPC. Advisory Services offered through First Heartland Consultants, Inc. Erickson Financial is not owned by, nor affiliated as a subsidiary of First Heartland Capital, Inc.